Home Tags Posts tagged with "Lilas dress"
The Lilas dress is one of the two dresses I designed for the book « Robes » des éditions Mango, made in collaboration with Charlotte Auzou, Coralie Bijasson et Orageuse. 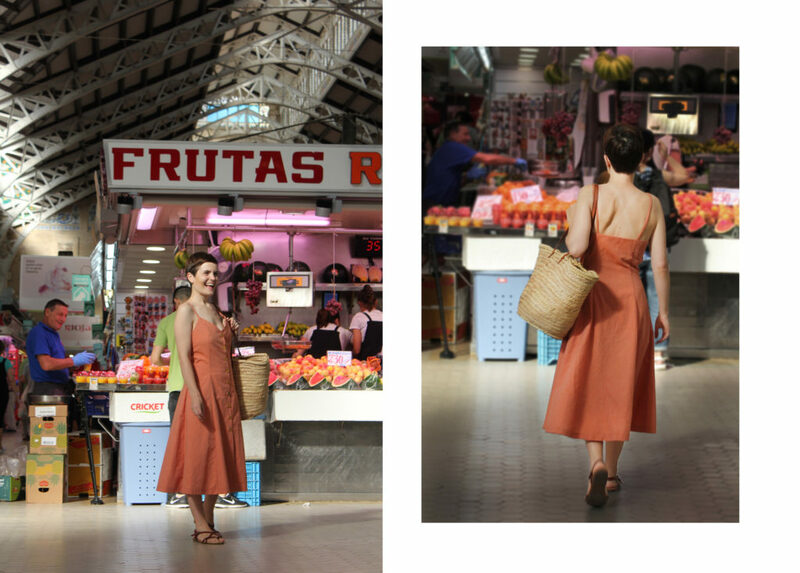 It’s a dress with front button closure and knotted straps perfect for summer. The princess cut bodice fits nicely at the waist and finish with a V shape on the front. It’s attached to a gathered skirt. 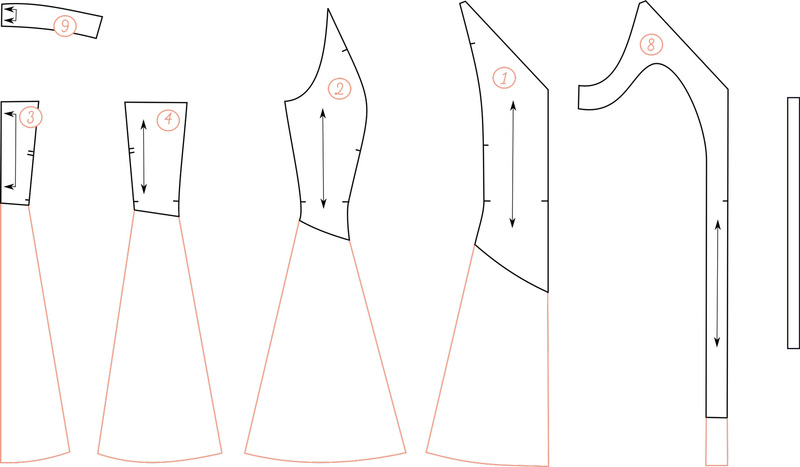 Copy the following pieces from the pattern sheet: bodice front, bodice side front, bodice back, bodice side back and front and back facings. Once they are copied, you just need to lengthen the side lines from the waist notches. If I remember correctly, I added 65 cm from the waist. You can open the sides more or less depending on the width you want for your dress. Remember to add the necessary length to the front facing as well. For the straps, I wanted simple ones so instead of 4 bias straps of fabric, I cut only 2 (here they are 37 cm long but you should measure before for yourself). I kept the same space between the buttons as the original dress, in total I have 13 buttons. Remember that contrary to the Pauline Alice patterns, seam allowances are not included in the book. You’ll need to add them to the pattern pieces as well as hems (here 4 cm). In the end, I am so happy with this modification: it’s a pretty, unfussy and feminine summer dress. I used a soft chambray from Les Trouvailles d’Amandine and engraved wood boutons from Textile garden (check them out, they have amazing buttons!). See you next week with the new patterns !